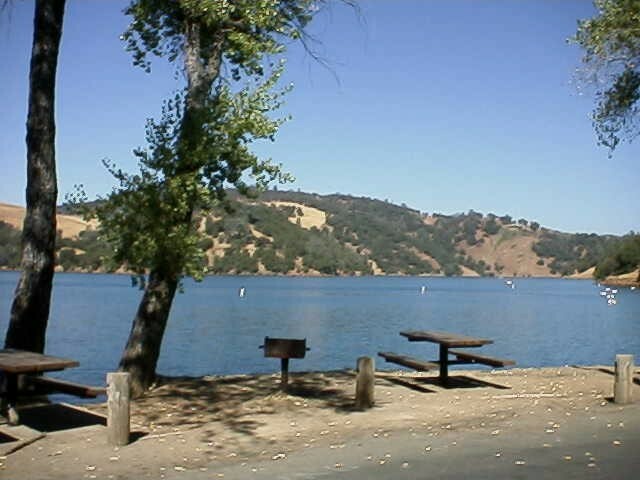 Lake Englebright (Englebright Reservoir) is at an elevation of 527 feet and is located off of Hwy 20 just west of Penn Valley, California. 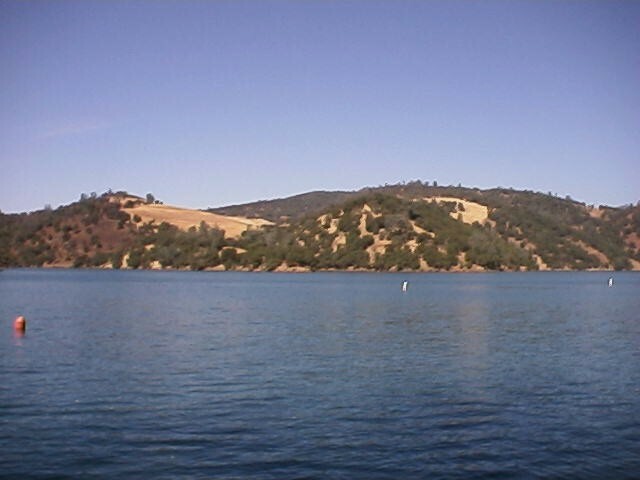 The lake has a surface area of 815 acres with a shoreline of 24 miles that snakes 9 miles long above the dam. 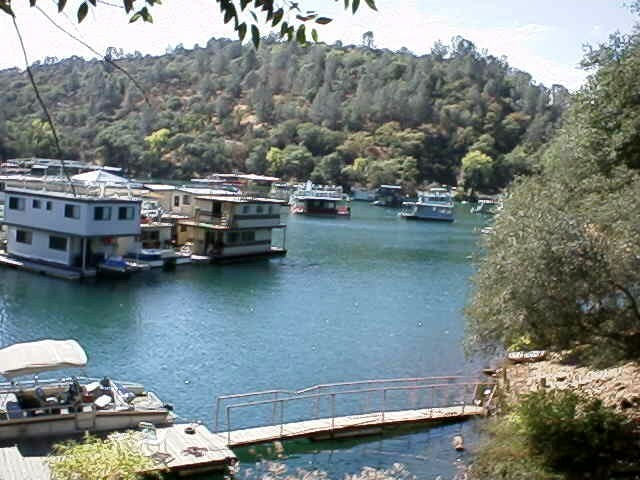 Englebright is a boat camper's bonanza with only boat access camping allowed.. 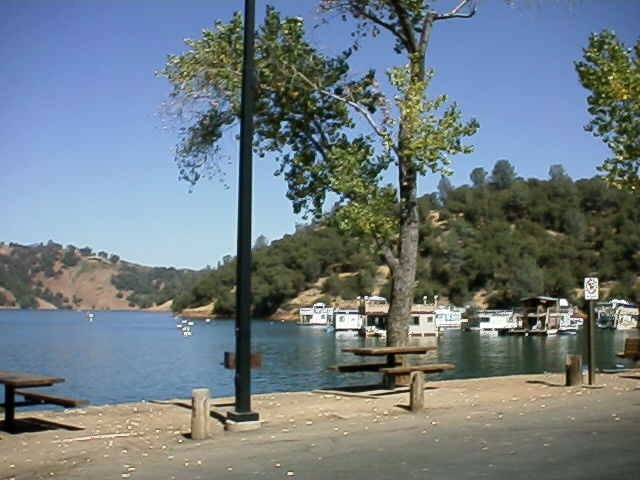 Boats can be launched at the Park Headquarters, or at Skppers Cove, where boats can also be rented. 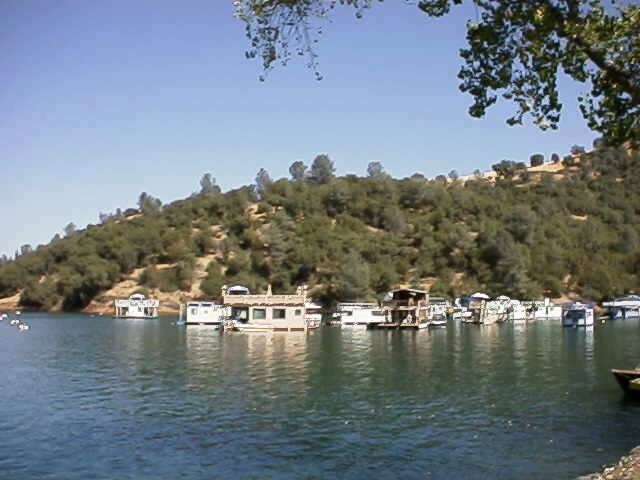 You can then proceed up the lake to a campsite, or stay on a houseboat if you have rented one. The shoreline is steep and rocky with a private rural feel to it, but there are sandy beaches with pines and oaks at some campgrounds. Fishing is great in the quite narrow coves. 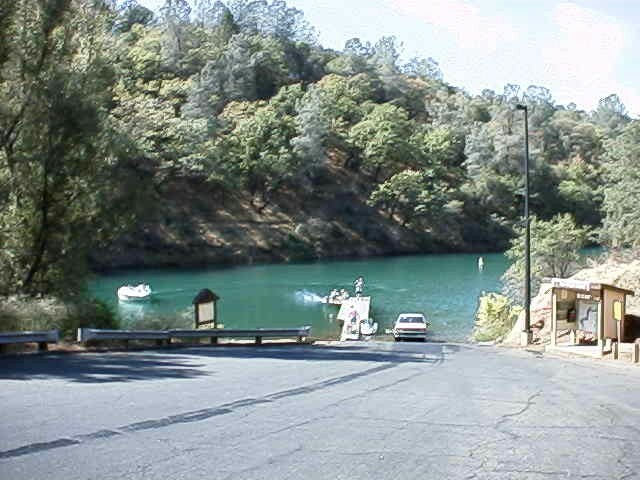 Waterskiing is allowed only on the first 2/3 of the lake from the dam. Power, Row, Jet ski, Windsurf, Canoe, Sail, Waterski, House, and Inflatables are allowed. There is a full service marina with launch ramps. 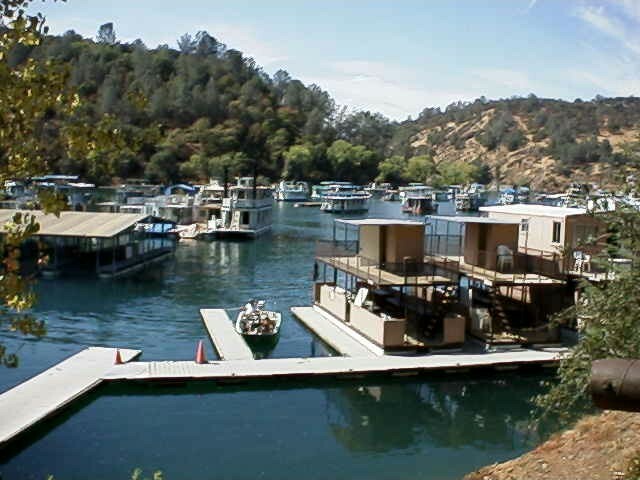 Rentals: Fishing, Canoe, Waterski boats, Houseboats & Patio Boats.